Flip's billing system makes staying up to date with your invoices simple! When customers sign up with Flip they are required to choose a payment method. Our system will automatically deduct payment from your provided payment details on your bill date. 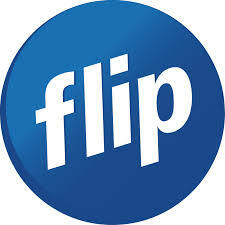 In the case where the payment is not successful, you can login to your Flip My Account and complete payment yourself. You can find more information about this here. Will I be informed before payment is attempted? Yes, you certainly will. We'll email you a bill forecast one week before your bill date to give you an idea of what you can expect on your following months invoice. Please note that we only support payments through the Flip My Account and you can change your payment anytime through the "Payment Method" section of your My Account or by following the link here. Login to your Flip My Account and select 'Top Up'. Alternatively, you can follow this link. In the amount field under 'Quick Account Top Up' enter the amount you wish to top up and click 'Pay now' to complete payment. This will deduct payment from your current payment method. You can also complete a one off top up by Credit Card. On the same page, scroll down and complete the 'One Off Credit Card Top Up' section. This will not change or update your current payment method. Flip offers the ability to set up a weekly, fortnightly or monthly automatic top up when you are using a debit/credit card as your selected payment method. To set up an automatic top up, login to your My Account and select 'Top Up'. Turn on the 'Automatic Top Up' option and select the day you wish the top up to start. Choose the desired frequency of your top ups and amount. Once you click 'Save changes', your automatic top up will be enabled.